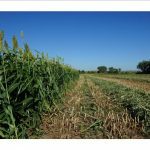 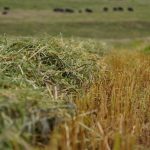 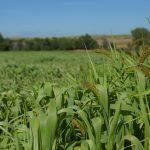 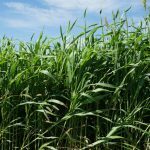 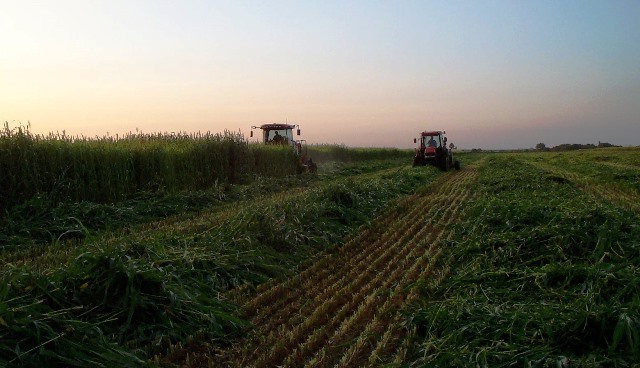 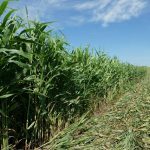 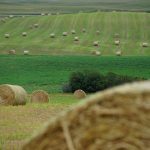 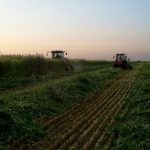 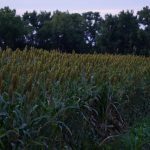 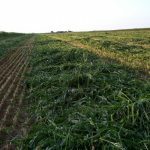 Single cut forages are best use is for hay, bundle feed or winter freeze down grazing, These plants have improved leafiness and excellent yield potential. 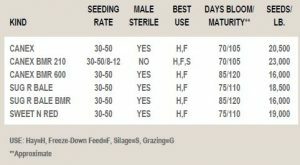 Male sterile types will produce non-viable or sterile seed unless planted with a pollinator. 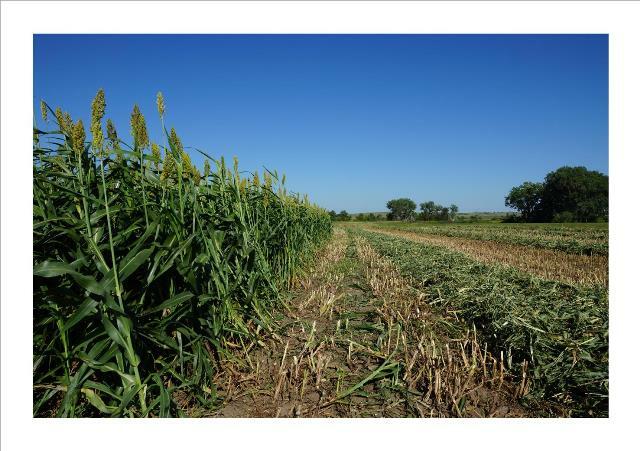 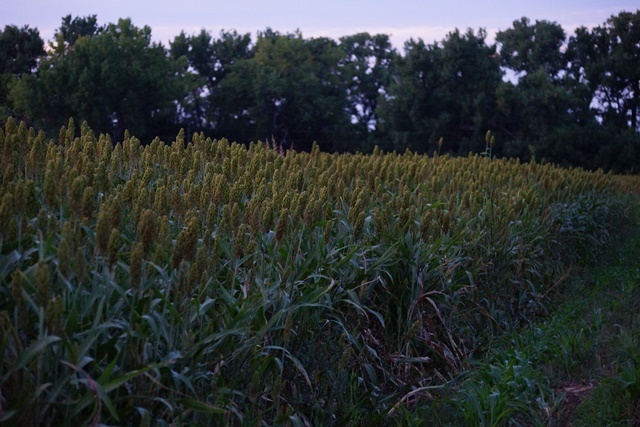 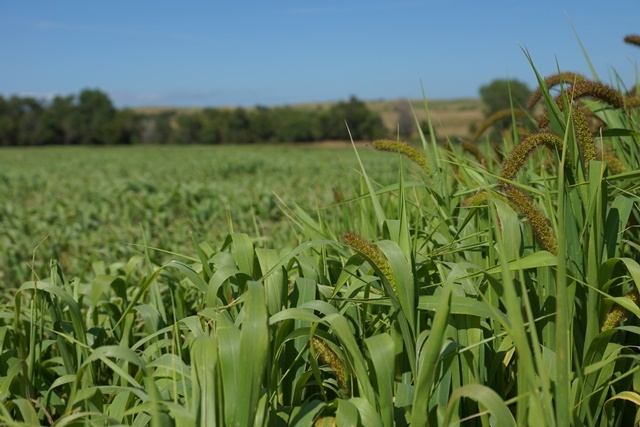 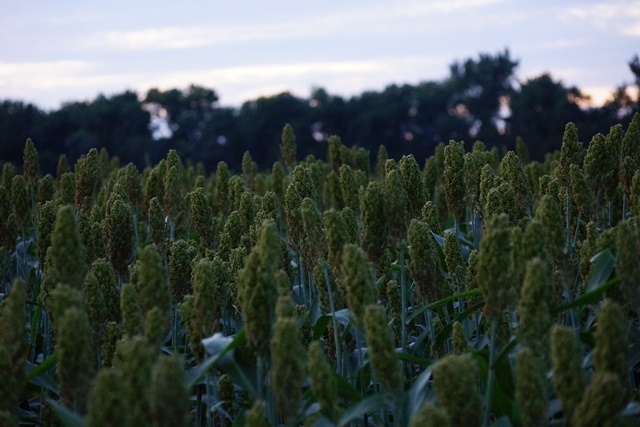 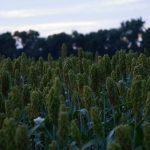 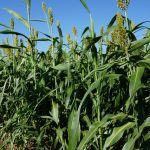 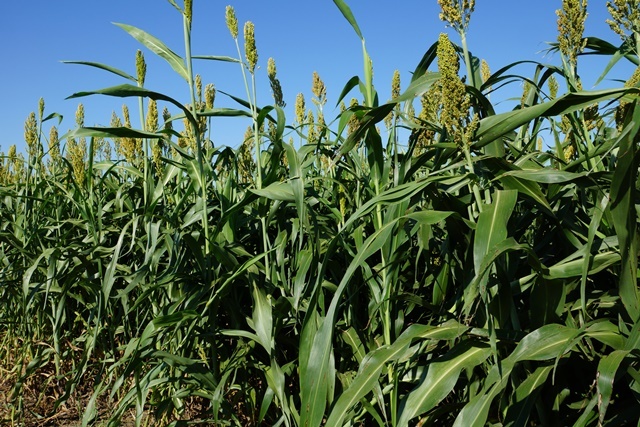 Foxtail Millets and Cane varieties will produce a viable seed head. 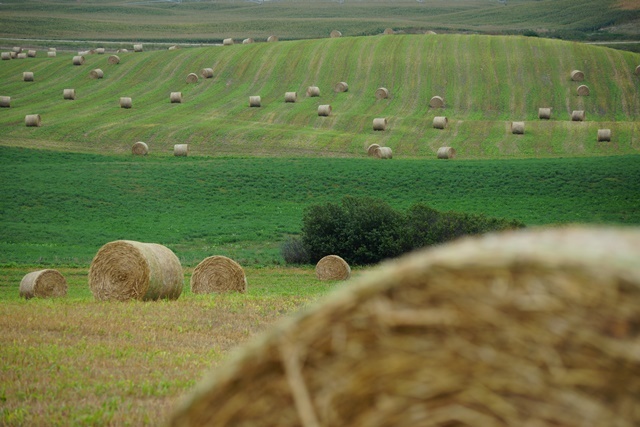 Hay: Cut in early bloom to milk dough stage. 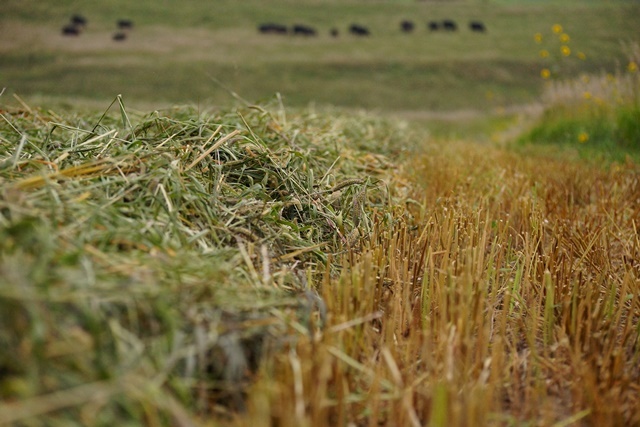 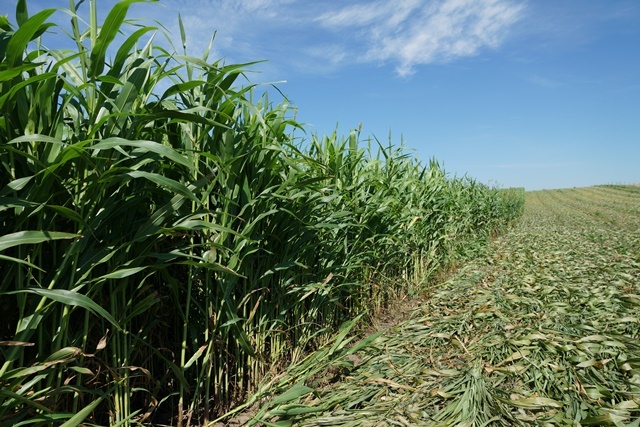 Grazing: Standing or in a windrow after killed by freeze. 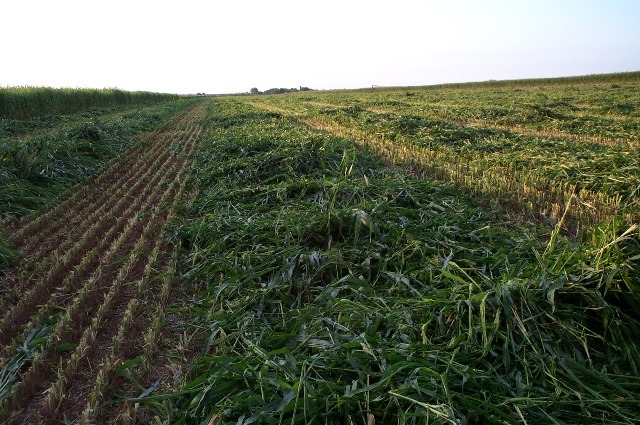 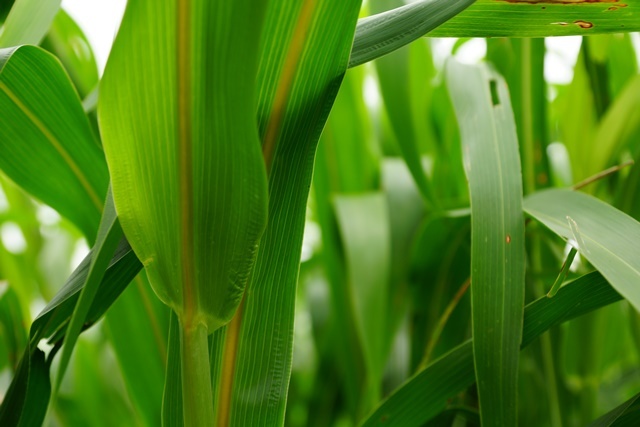 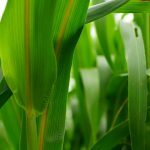 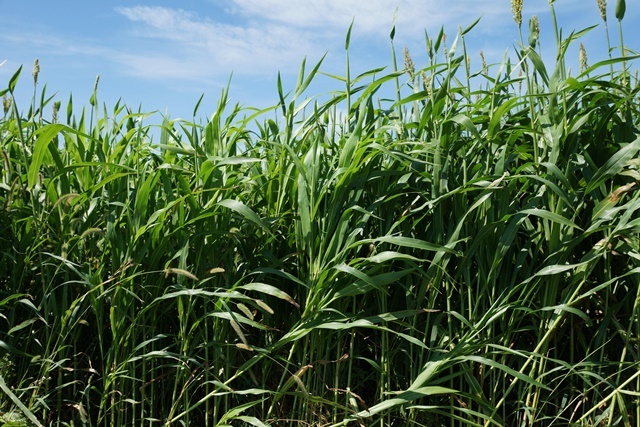 Silage: Add pollinator if male-sterile, and harvest in soft dough stage.